London Lions welcome the Manchester Giants to the Copper Box Arena, London. The Lions sit top of the BBL Championship table having won 15 of their 17 games with Giants sitting sixth with 10 wins and 10 losses. The Giants will be looking to get revenge after the two sides met in the Trophy semi-finals last month with Lions winning 201-179 on aggregate. Lions were victorious in the BBL Cup final and have won both previous league meetings this season in Manchester; 86-83 & 83-75. Manchester Giants have announced that one of the club's all-time favourites, guard Yorick Williams, is back at the club for a fourth spell as a player and at the age of 43. Williams, a former Giants junior, has played almost his entire career in the BBL, also enjoying three spells at Leicester Riders and two at Birmingham Bullets as well as gracing Derby Storm, Essex Leopard and Greek side Aris Thessaloniki. Known as a three-point shooter with strong defensive qualities, Williams has returned to help the Giants' push for a first play-offs berth since 2014. He was player-coach of the club in his last spell from 2015-2017. The former England and Great Britain international is not the oldest player in the BBL - Newcastle player-coach Fab Fllournoy has that honour at 45 years and seven months - but he has trained with Giants this season and coach Danny Byrne believes Williams can help cover for injured guard James Jones. “It’s his tenacity, experience and communication on defence that I think can make a big difference for us,” Byrne told the club's website. Williams will make his first (re-)appearance for the Giants against Leicester in two weeks' time. How can I watch London Lions v Manchester Giants? 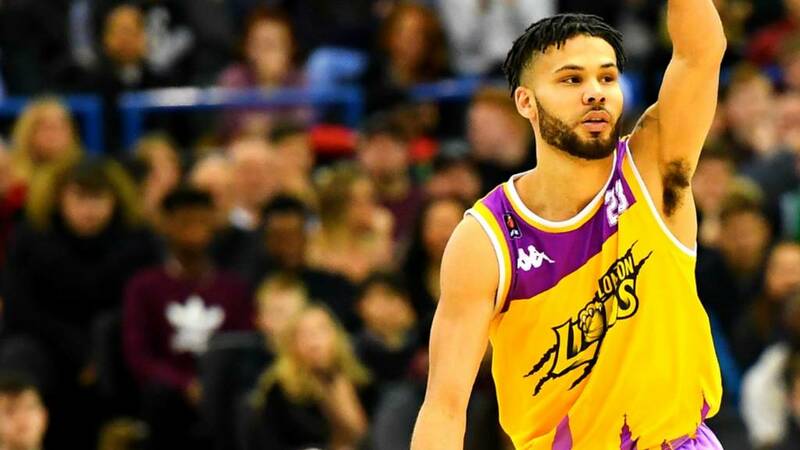 You can watch London Lions v Manchester Giants in the BBL on the BBC Sport website, app, connected TV and iPlayer on Sunday, 3 March from 15:55-18:00 GMT.